For customers who are looking for closer integration and a more flexible form factor, as well as lower cost, we offer our custom camera modules. 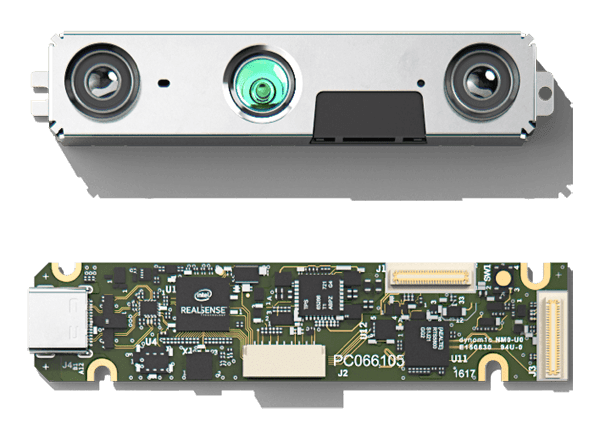 With the addition of the Intel® RealSense™ Vision Processor D4 and ASIC card, modules allow greater design flexibility, without the need to spend engineering resources on camera placement and calibration. Pay only for the parts you need. Smaller form factor, more component options. Build directly into your devices. If you are planning to integrate Intel RealSense technology into higher volume products, our depth modules can offer the best compromise between price and flexibility. We offer multiple different configurations to better suit your needs, fully calibrated and validated for ease of integration. Designed for easy system integration, our complete line of modules feature a calibrated imaging sub‑system with stereo sensors. When paired with an Intel® RealSense™ Vision Processor, depth data can be output via USB to any platform.  We offer our standalone Intel® RealSense™ Vision Processor D4 which gives you the ability to create quality stereo depth devices with your choice of sensors in any physical configuration. Achieve superior stereo depth and computer vision with the Intel® RealSense™ Vision Processor D4 . This application specific integrated circuit provides dedicated real‑time processing up to 36.6* million pixels per second in a small footprint, while offering support for flexible camera customization. Contact your Intel RealSense sales representative for more information. * The amount of pixels processed per second depends on the desired resolution and frame rate settings.